We are celebrating over ten years of welcoming riders and horses to Fairboroughs Farm. We provide bespoke holidays for you and your horses to enjoy the stunning countryside on our doorstep. Nestled in the Staffordshire Moorlands on the door step of the Peak District National Park, Fairboroughs Horse Riding Holidays provides a perfect getaway and a chance to explore miles of idyllic scenery with your friends and your own horses. From the moment you arrive you’ll be seduced by the views, the riding and the setting. 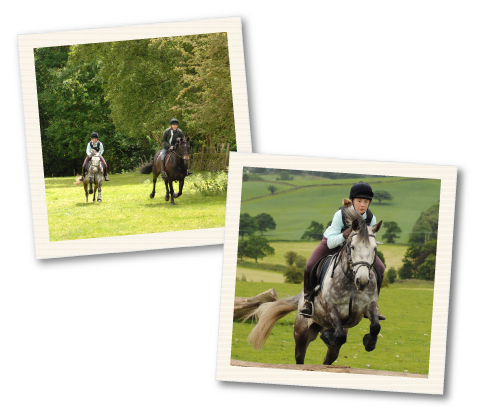 Fairboroughs Farm has over 200 acres of rolling hills and woodland to explore from the comfort of your own saddle. Furthermore, a selection of circular ride routes are provided on arrival. Riders are invited to stay in Wren Cottage and/or The Pamper Van. Secure stables and paddocks are available for your horses. If your horse could choose a holiday, they’d book Fairboroughs! To book your horse Riding Holiday please call Karen on 01260 226341/07747 824670 or alternatively send a message via the contact form.